Nice little romantic story. Made for a couple. You and your friends (or relatives) go on a cruise and meet the man or woman of your dreams! Great for new couples, wedding gift, Valentine's Day, or anniversary gift. When ordering, after clicking “Add to Cart” button, include the "star" of the story name, age, gender, hometown, and the first names of up to three friends or relatives going on a cruise (relatives always recommended because these books are real keepsakes!) This book has additional personalized information including name of person "met" on the cruise, their gender, where you are stopping on the cruise (example: Cozumel), and two or three sentences on the last page to REALLY personalize it, just for your significant other! This is a quality personalized teenager/adult book. Hard cover book approximately 6" by 7", 20 pages. Debbie has always enjoyed spending time near the beach, a lake or a river. She felt so relaxed around a body of water. So when she, Jerry, and Eddie began making plans for an exotic cruise on March 10th, her excitement was uncontrollable. Later, they were dressing in their most impressive outfits for dinner. They had heard that everyone really dressed in their best for dinner and Debbie, Jerry, and Eddie wanted to make a great first impression – just in case they might meet someone interesting. “Thanks a lot,” growled Debbie, as she was struggling to climb out of the pool, then – SPLASH!! “Oh, no,” cried Debbie, as the man who was trying to pull her out fell in instead! As he came to the surface, they were both laughing and Debbie really looked at him for the first time. “I’m Rich Thomason,” he said with a gorgeous smile. “Hi, Rich. I’m Debbie,” she could barely speak. “Debbie, I apologize again and please, meet me for dinner after we get changed,” he said. “Love to. 9 o’clock?” Debbie wanted to see this guy again! The next day was fantastic, walking around the beautiful tropical paradise of Cozumel with Rich, holding hands, kissing, stopping for an exotic island drink on the beach. “What could be better than this,” Debbie thought. That evening Debbie and Rich were walking along the deck when Rich exclaimed, "I live in Elgin,Oklahoma, but I was afraid you wouldn't want to continue our relationship. Please say something!" "I love you," Debbie responded softly with a kiss. "Baby, we may not have a shipboard experience exactly like this, but every day is perfect with you at my side. And there is no place more romantic than in your arms. The last 27 years have been the happiest in my life. I love you with all my heart! 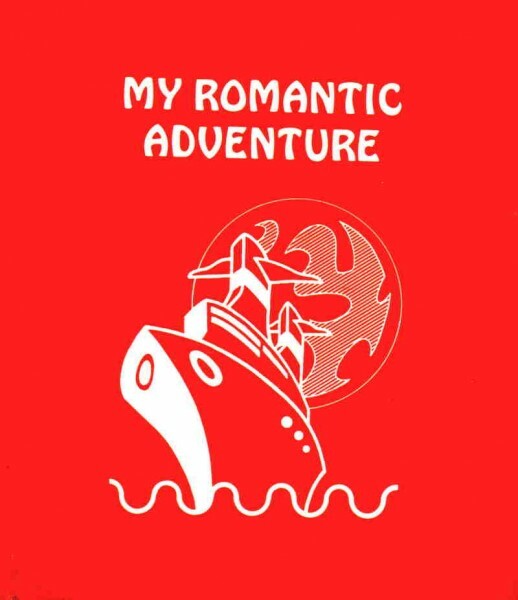 Let's have our own Romantic Adventure tonight! "